My girls love to make cakes and biscuits and it’s now something that they can enjoy together. One thing that I have found over the years is that the bit the love the most is decorating the cakes. 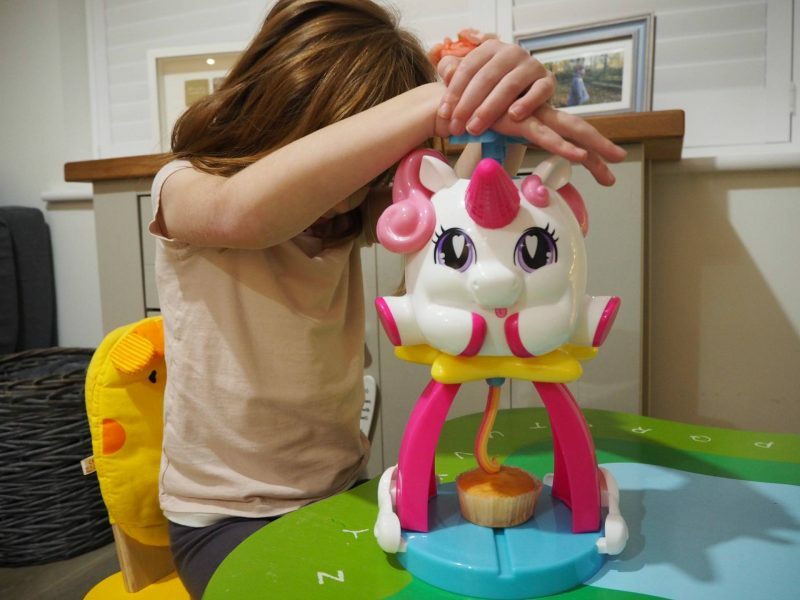 We were recently sent the Unicone Rainbow Swirl Maker and as my girls are a bit obsessed with unicorn’s at the moment I knew they were going to love it, before they even knew what it did. 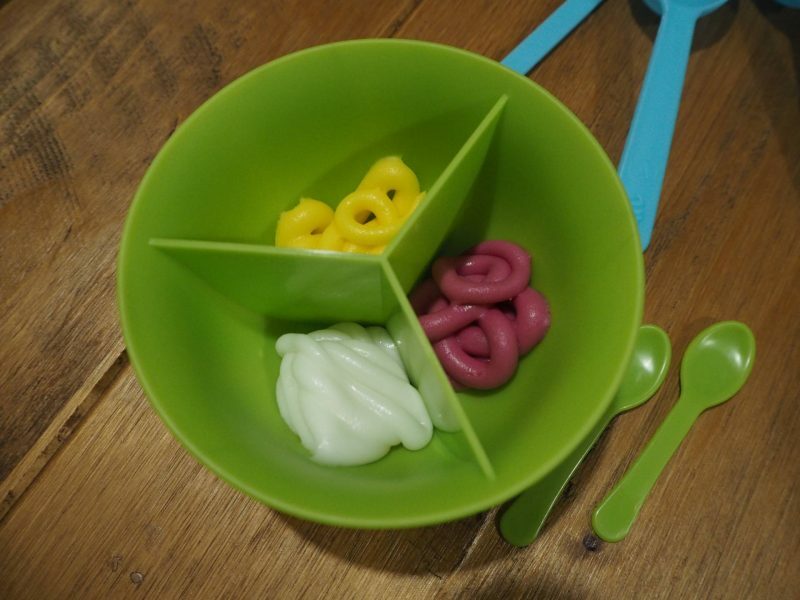 It comes with a bowl split into 3 sections, for you to put your different coloured icing and spoons. We used designer icing and this is by far the best icing to use for this. What I discovered was that it was much easier to just squeeze the icing straight into the dispenser. It was quite card spooning it in and once we swapped to squeezing it straight in, it worked brilliantly. I added the colours in layers. 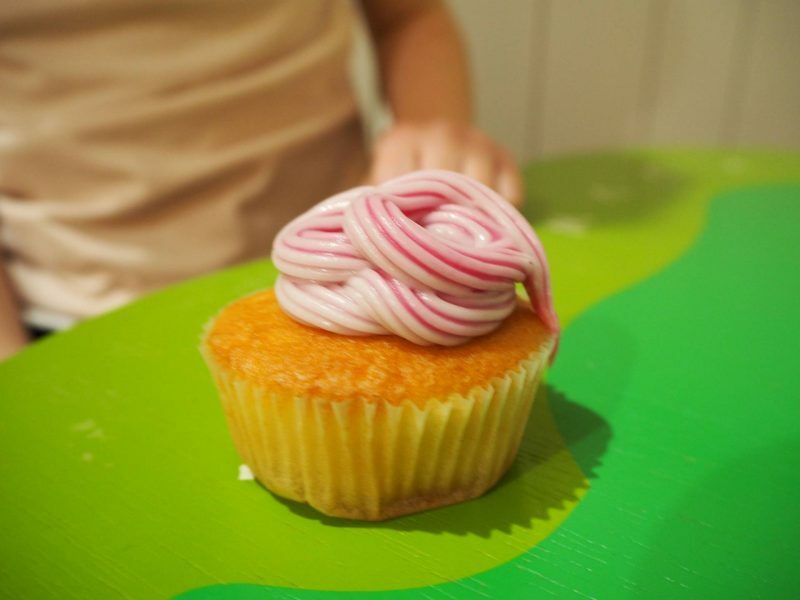 As you can see we used white, pink and yellow icing to give a swirl affect, but you can use any colours. 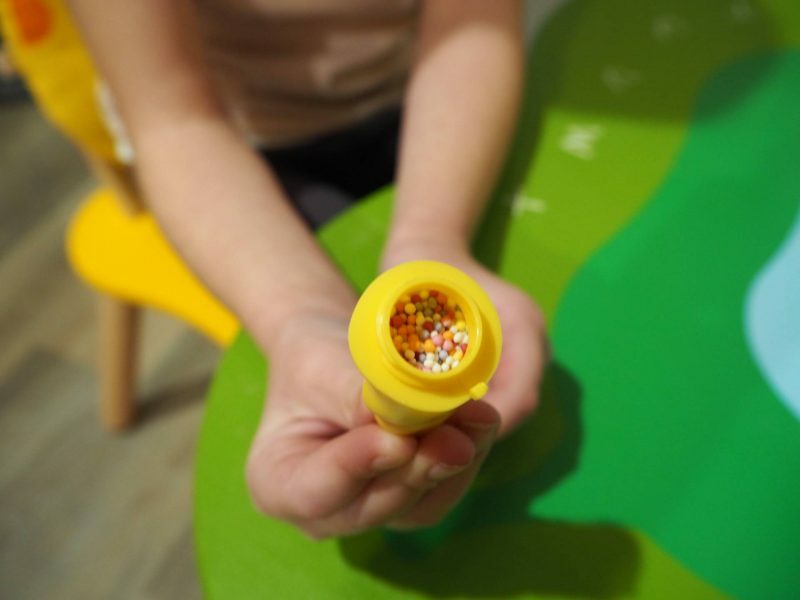 Once the dispenser is filled with icing you pop it in the top. 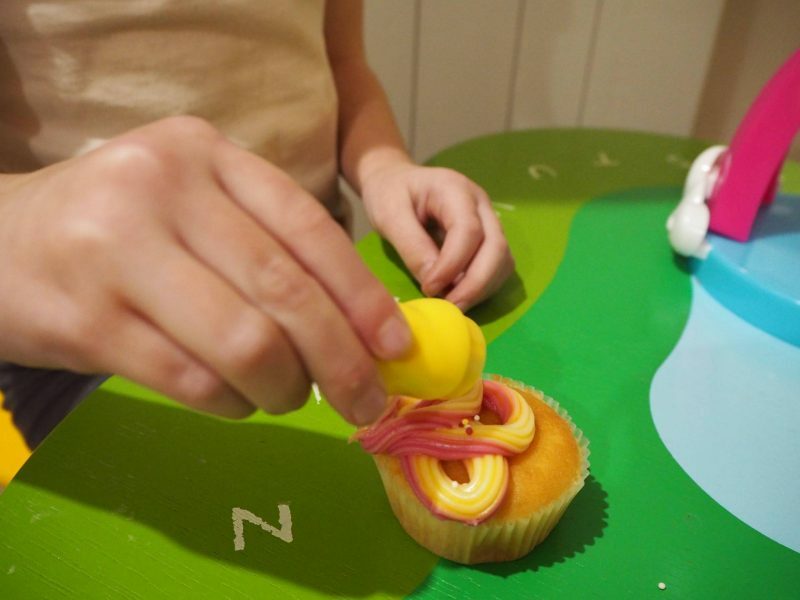 Place a cake, or anything else that you wish to decorate, underneath and push down on the handle. Then watch your icing come swirling out the bottom and onto the cake. Alice found it really easy to do and you don’t need to push for long, until your cake has enough on icing on it. In the unicorns horn you can pour in some sprinkles and then shake them onto to the top of you cake, to sprinkle some extra magic onto them. If you want to it also come with reusable cones that you place underneath instead of a cake or biscuit and fill the cone with icing. 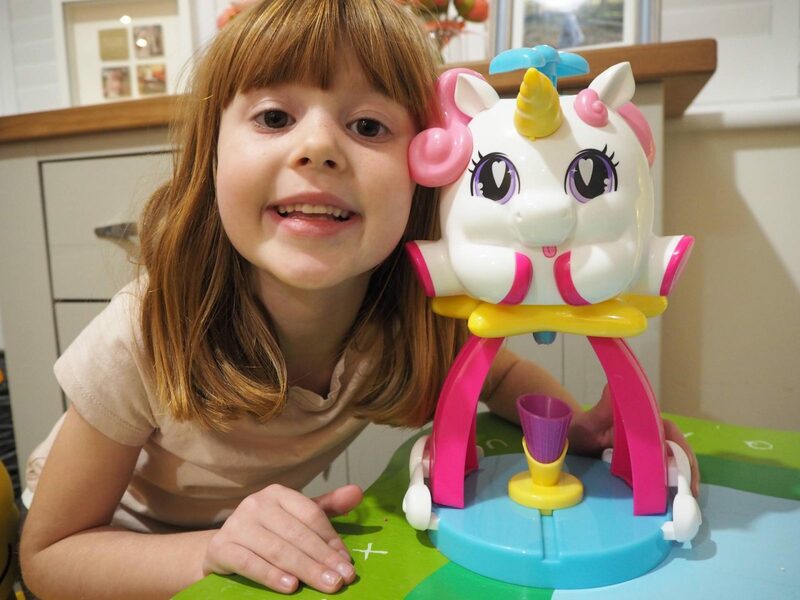 The Unicone Rainbow Swirl Maker is aimed at children 6+, but Holly did also have ago and at aged 3, she managed to do it just as easily as Alice did. She just need more supervision on when to stop!! It doesn’t include any ingredients, but there are recipe cards to give children some ideas on what to do and inspire them. The Unicone Rainbow Swirl Maker has a RRP £14.99, but is currently available at Amazon for £12.50. 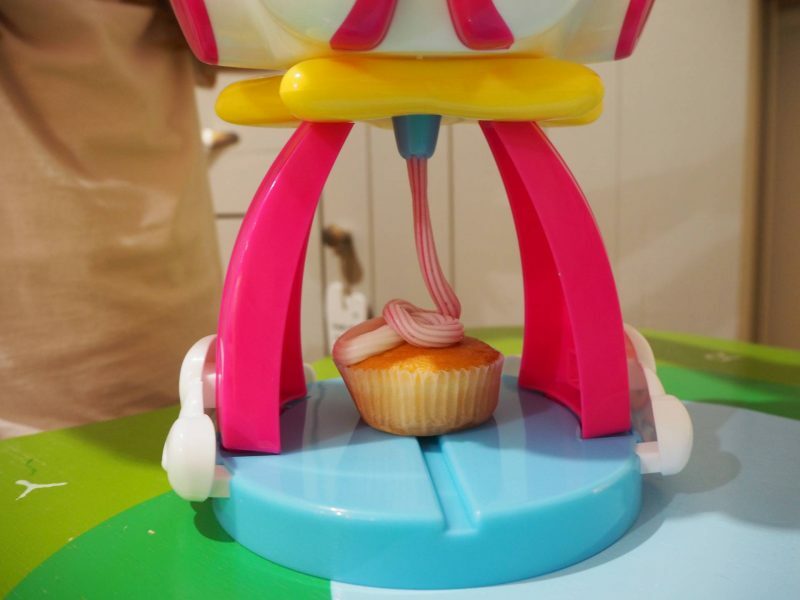 Disclosure: We were kindly sent our Unicone Rainbow Swirl Maker in return for an honest review. All views, photos and opinions are my own.